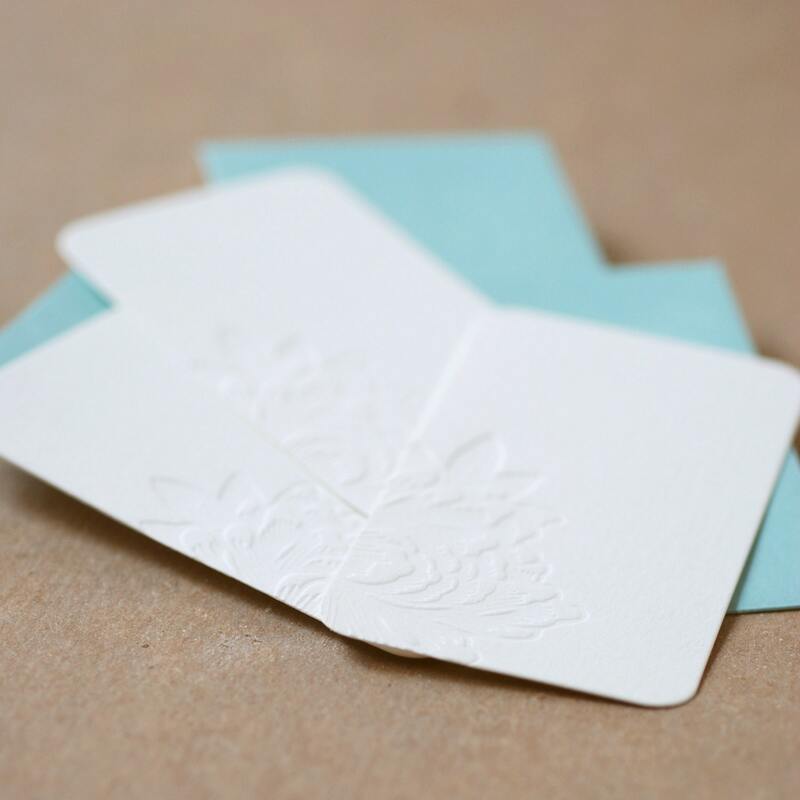 these pretty little cards are a sweet and easy way to dress up a gift. keep some on hand for those last minute wrapping emergencies. 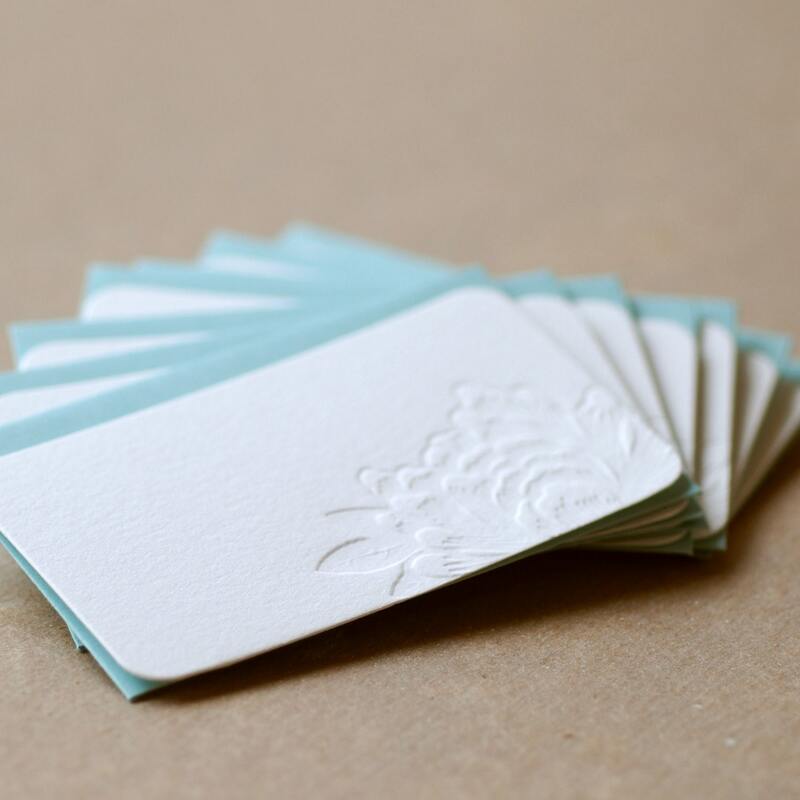 they also make great little thank you notes for business clients. 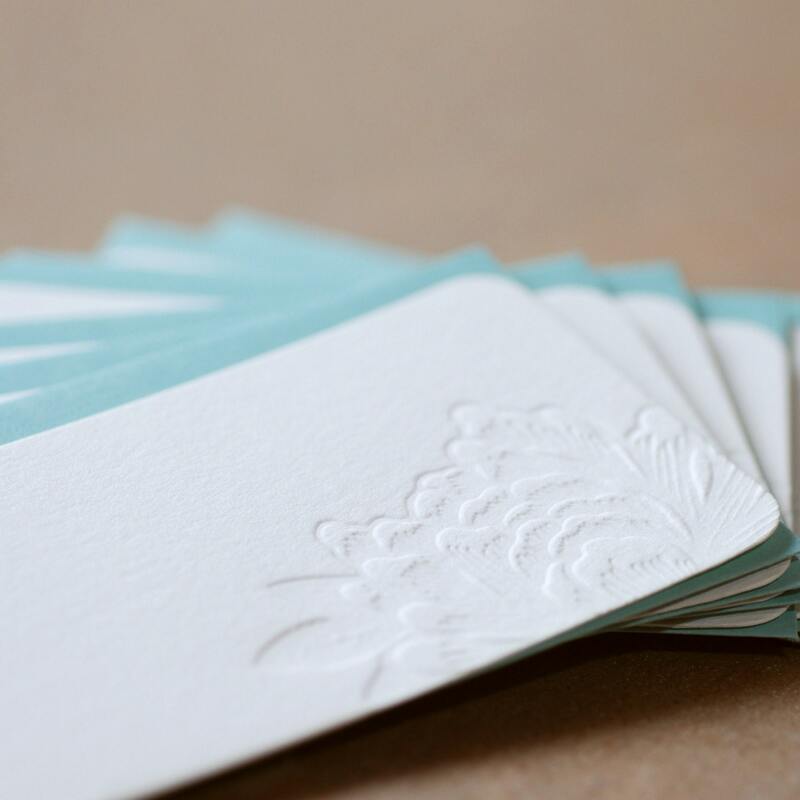 letterpress blind impression (no ink) on crane’s 100% cotton lettra paper. 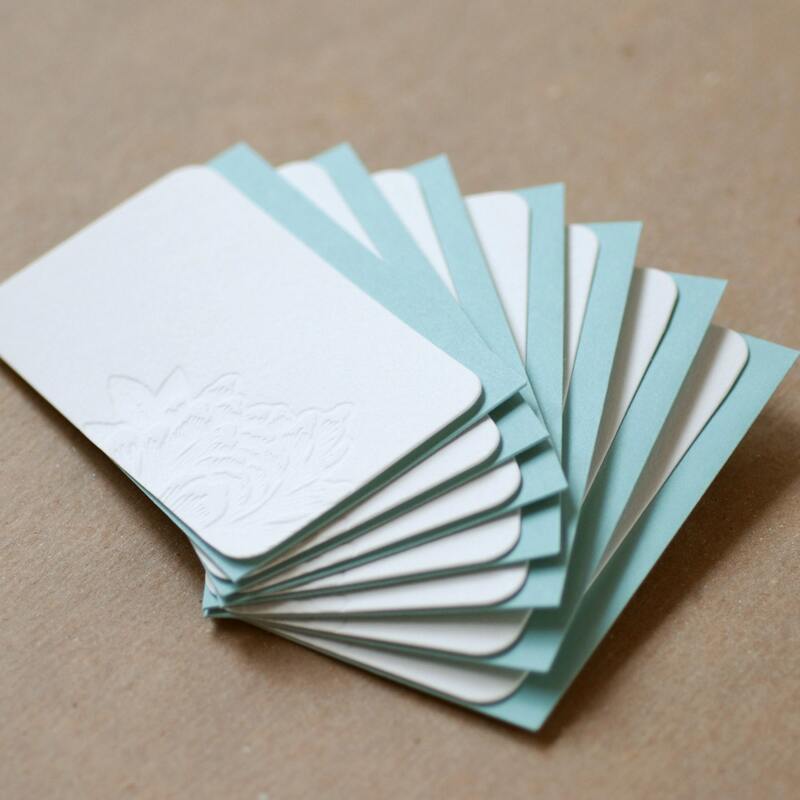 tiny flat cards with pool blue envelopes. 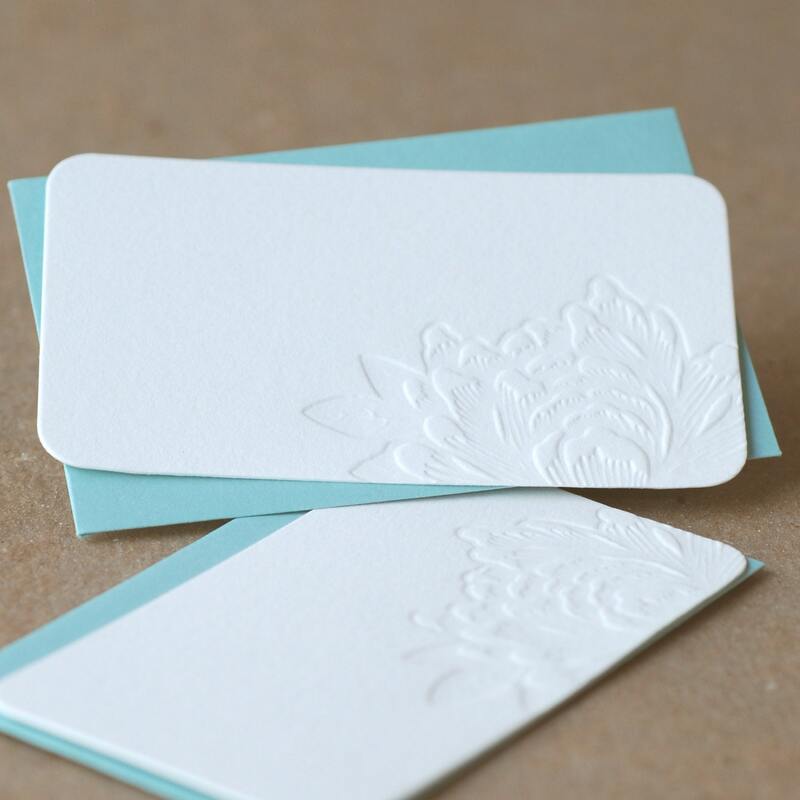 flat card measures 3 1/2" x 2" (envelopes 3 1/2" x 2 1/4"). this item is ready to ship within 1-2 business days. package will be sent USPS first-class mail unless you request a change in shipping. To fulfil your order, you must provide me with certain information (which you authorized Etsy to provide to me), such as your name, email address, postal address, payment information, and the details of the product that you’re ordering. You may also choose to provide me with additional personal information (for custom orders, for example), if you contact me directly.